Put this CD on, close eyes and if you hear anything but AC/DC circa 'High Voltage' and 'Dirty Deeds' then I'm afraid I will be questioning your opinions and sensibilities. 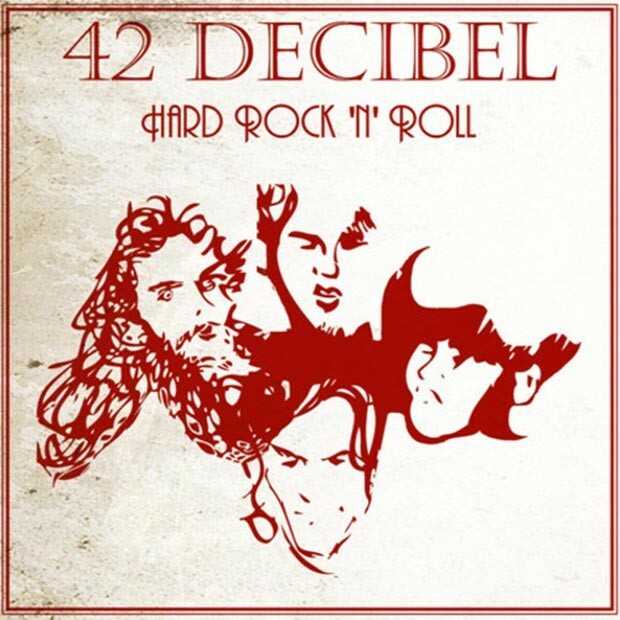 From the uncannily sounding Bon Scott-like vocals to the Malcolm Young structured riffs and Angus Young soloing, this is as close as you are likely to get to that mid 70s sound. I am constantly on the verge of singing 'Can I Sit Next To You Girl' or 'Long Way To The Top If You Wanna Rock n Roll' every time the choruses approach, even after several spins. 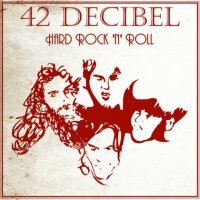 What is surprising is that the 42 Decibel four-piece hail from Argentina, formed by drummer Nicko Cambiasso and singer/guitarist Junior Figueroa and this is the band's debut release. The stripped back framework of vocals, guitar, bass and drums represents an old fashioned approach to music but I still find it to be a refreshing change to the music I've been bombarding my senses with in recent weeks. The relentless but infectious brand of 12-bar boogie has a swagger and strut and it is difficult not to be caught up in most of the songs, meaning the band would probably go down a storm in a small sweaty club. There seems to be something of an obsession with alcohol, exemplified perfectly by the likes of 'Scotch Drinker', 'Drinkin' Margaritas', 'Drunk Love' and 'Gimme A Drink'. 'Long Legged Woman' could be a little tighter, and the vocals are quite raw, but the extended jamming just adds to the live feel. The opening one/two of 'Scotch Drinker' and 'Smoking Fire' provide the blueprint for what is to come, and if I have a criticism at this stage it is that there is no real variation in tempo throughout the twelve tracks and the hooks can be repetitive at times. Hardly original I know, and many may consider it to be retro or classic rock, but at the end of the day I like 'Hard Rock n Roll'. Whether it will be something I return to on a regular basis is another matter but if you have a hankering for 'old school' then this is for you.